Next story in Technotica Whaaa? Justin Bieber is biggest failure of 2010? 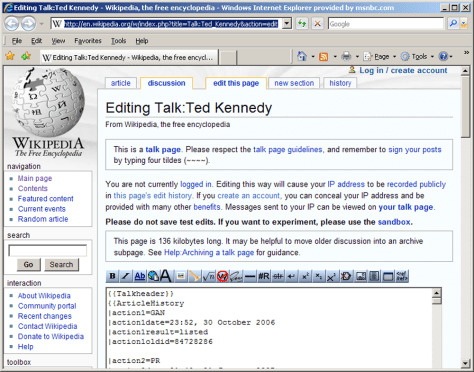 The speed with which some rabbit-reflexed webmaster changed regimes on the White House Web site still couldn’t match the mad skillz of the jackass responsible for breaking the big fake news on Wikipedia: Sen. Ted Kennedy, D-Mass. is dead!